4 BEDROOM, 3 BATH WITH DESIRABLE OPEN CONCEPT FLOOR PLAN. GREAT WINDOWS IN LIVING ROOM WITH 3-WAY FIREPLACE. MASTER BEDROOM FEATURES A LARGE WALK-IN CLOSET AND PRIVATE DECK ACCESS. FINISHED VIEW OUT BASEMENT FEATURES A LARGE FAMILY ROOM WITH ADDITIONAL REC/GAMING AREA AND LARGE WET BAR. 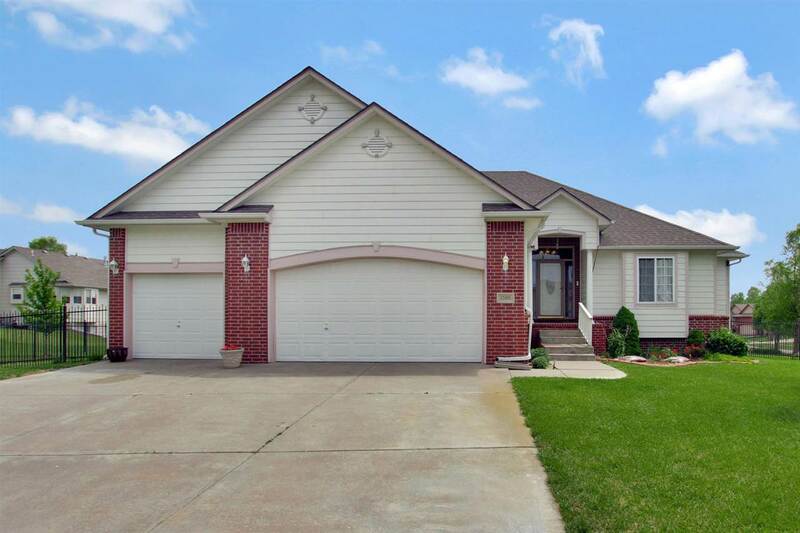 HOME SITS ON A NICELY MAINTAINED CORNER LOT WITH AN IRRIGATION WELL AND SPRINKLER SYSTEM. BACKYARD HAS WROUGHT IRON FENCING, COVERED DECK AND PATIO AND BIG MATURE TREES. HOME IS ALSO ONLY A SHORT WALK TO ANY OF THE AREAS STOCKED PONDS, COMMUNITY POOL AND PLAYGROUND.